You’re ready to try something new when it comes to your urinary tract health. We’ve been there. That’s where this doctor recommended tea comes in. It’s worked for our founder, worked for our customers, and now it can work for you in 48 hours too. We want you to love our products. If you’re not happy with your purchase, just let us know within 30 days of purchasing on nunamed.com and we’ll issue a refund. 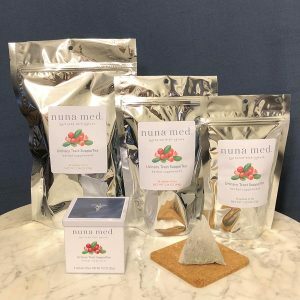 Dr. Rebecca, a Naturopathic Doctor and Western Herbalist, highlights the herbs in Nuna Med's Urinary Tract SupporTea. 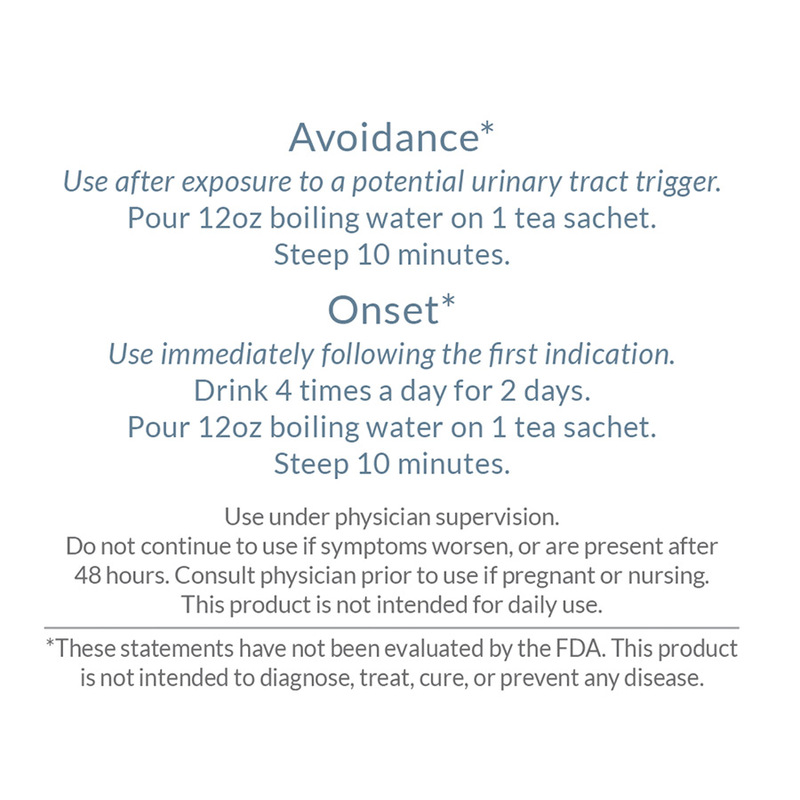 What is the maximum amount someone should consume Urinary Tract SupporTea per month? SupporTea is intended for prevention and acute needs. 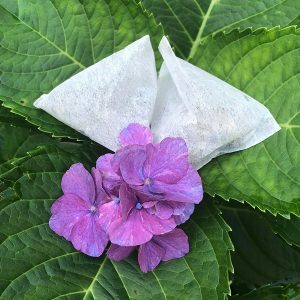 If you are using SupporTea for more than five days, you should discuss your usage with a physician trained in herbal medicine. How will I know the tea is working? Your symptoms should improve within the first 24 hours noticeably. Many women report their urinary discomfort is gone by 24 hours. But if you have not noticed this shift after 24 hours, then it is time to call to your physician. If your symptoms are getting worse instead of better while using the tea, it is time to call to your physician. Is there anything I can do to make the product more effective? Avoid alcohol, caffeine, sugary drinks, artificial sweeteners, spicy foods and citrus fruit. Get plenty of rest and consume plenty of water in addition to SupporTea. Symptoms most often include flank pain (around kidneys) and fever following symptoms of a urinary tract infection. Sometime the fever is not present. This is a very serious condition and must be treated by your doctor. If you experience these symptoms, please stop the tea and consult your physician immediately. 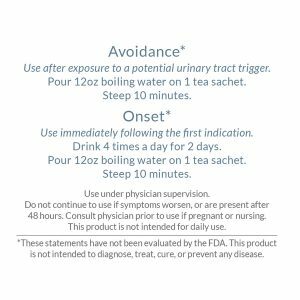 Can I use Urinary Tract SupporTea while pregnant? Not advised unless indicated by a physician trained in herbal medicine. Can it be taken when women are breastfeeding? Can it be taken by people with Diabetes, Type I or II? Due to the possibility of impaired kidney function, please discuss use with a physician trained in herbal medicine prior to use. Can it be taken by people with transplants (e.g. kidney)? Only under the care of a physician trained in herbal medicine. What is Urinary Tract SupporTea’s shelf life? In order to ensure that the product is as fresh and effective as possible, please discard 6 months after purchase if kept at room temperature. Discard sooner if stored above 75 degrees F.
Does the tea have to be warm/hot each time I consume it? Or can it be iced or room temperature? The temperature of the tea does not affect the efficacy. The tea’s developer recommends it consumed either warm or room temperature to her patients. Larsson, B., Jonasson, A., & Fianu, S. (1993). Prophylactic effect of UVA-E in women with recurrent cystitis: a preliminary report. Current therapeutic research, 53(4), 441-443. 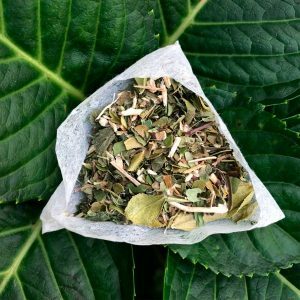 “Uva-ursi folium (bearberry leaf) has been traditionally used to treat symptoms of lower urinary tract infections. The most representative constituent of this herbal drug is arbutin that is rapidly absorbed in the small intestine and undergoes hepatic conjugation to form hydroquinone (HQ) conjugates. 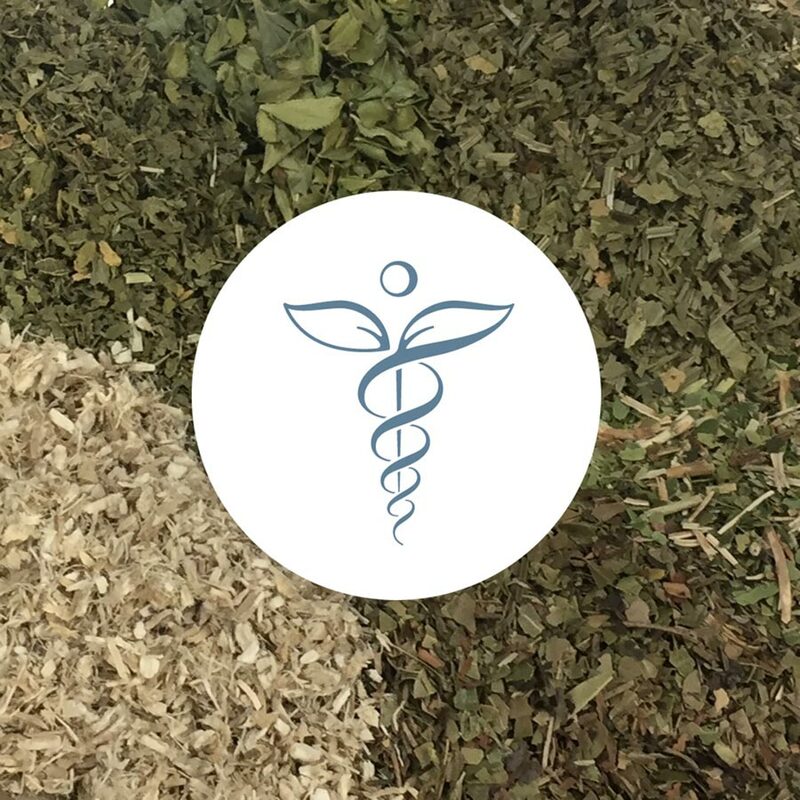 As free HQ is crucial for the safety of the herbal preparation, we reviewed published and unpublished experimental and human studies to clarify some outdated assumptions and to support the safety of therapeutic daily doses of Uva-ursi folium extract. Specifically, data on pharmacokinetics and the human exposure of arbutin and HQ were reviewed. A therapeutic recommended human daily dose of bearberry leaf extract (420 mg hydroquinone derivatives calculated as anhydrous arbutin) liberates free HQ in urine at a maximum exposure level of 11 µg/kg body weight (bw)/d. By means of an experimental no observed effect level value, a permitted daily exposure dose below which there is a negligible risk to human health was estimated for free HQ (100 µg/kg bw/d). Dietary sources of arbutin/HQ that are regularly consumed long term by humans generate comparable free HQ exposure levels. de Arriba, S. G., Naser, B., & Nolte, K. U. (2013). Risk assessment of free hydroquinone derived from Arctostaphylos Uva-ursi folium herbal preparations. International journal of toxicology, 32(6), 442-453. Beaux, D., Fleurentin, J., & Mortier, F. (1999). Effect of extracts of Orthosiphon stamineus benth, Hieracium pilosella L., Sambucus nigra L. and Arctostaphylos uva‐ursi (L.) spreng. in rats. Phytotherapy Research, 13(3), 222-225. Chauhan, B., Yu, C., Krantis, A., Scott, I., Arnason, J. T., Marles, R. J., & Foster, B. C. (2007). In vitro activity of uva-ursi against cytochrome P450 isoenzymes and P-glycoprotein. Canadian journal of physiology and pharmacology, 85(11), 1099-1107. Frohne, D. (1970). The urinary disinfectant effect of extract from leaves uva ursi. Planta medica, 18(1), 1. Grases, F., Melero, G., Costa-Bauza, A., Prieto, R., & March, J. G. (1994). Urolithiasis and phytotherapy. International Urology and Nephrology, 26(5), 507-511. Kemper, K. J. (1999). Uva ursi (arctostaphylos uva-ursi). The Longwood Herbal Task Force. Koehler, J., & Franz, G. (1993). Bioavailability of drug preparations containing a leaf extract of Arctostaphylos uva-ursi (L.) Sprengl. (Uvae ursi folium). Pharmaceutical and pharmacological letters, 3, 63-66. Kubo, M., Ito, M., Nakata, H., & Matsuda, H. (1990). Pharmacological studies on leaf of Arctostaphylos uva-ursi (L.) Spreng. I. Combined effect of 50% methanolic extract from Arctostaphylos uva-ursi (L.) Spreng. (bearberry leaf) and prednisolone on immuno-inflammation. Yakugaku zasshi: Journal of the Pharmaceutical Society of Japan, 110(1), 59-67. Matsuda, H., Nakamura, S., Shiomoto, H., Tanaka, T., & Kubo, M. (1992). Pharmacological studies on leaf of Arctostaphylos uva-ursi (L.) Spreng. IV. Effect of 50% methanolic extract from Arctostaphylos uva-ursi (L.) Spreng. (bearberry leaf) on melanin synthesis. Yakugaku zasshi: Journal of the Pharmaceutical Society of Japan, 112(4), 276-282. Matsuda, H., Tanaka, T., & Kubo, M. (1991). Pharmacological studies on leaf of Arctostaphylos uva-ursi (L.) Spreng. III. Combined effect of arbutin and indomethacin on immuno-inflammation. Yakugaku zasshi: Journal of the Pharmaceutical Society of Japan, 111(4-5), 253-258. Shimizu, M., Shiota, S., Mizushima, T., Ito, H., Hatano, T., Yoshida, T., & Tsuchiya, T. (2001). Marked potentiation of activity of β-lactams against methicillin-resistant Staphylococcus aureus by corilagin. Antimicrobial agents and chemotherapy, 45(11), 3198-3201. Quintus, J., Kovar, K. A., Link, P., & Hamacher, H. (2005). Urinary excretion of arbutin metabolites after oral administration of bearberry leaf extracts. Planta medica, 71(02), 147-152. Galván, I. J., Mir-Rashed, N., Jessulat, M., Atanya, M., Golshani, A., Durst, T., … & Cruz, I. (2008). Antifungal and antioxidant activities of the phytomedicine pipsissewa, Chimaphila umbellata. Phytochemistry, 69(3), 738-746. Kedzia, B., Wrociński, T., Mrugasiewicz, K., Gorecki, P., & Grzewińska, H. (1975). Antibacterial action of urine containing products of arbutin metabolism. Medycyna doswiadczalna i mikrobiologia, 27(3), 305-314. Schindler, G., Patzak, U., Brinkhaus, B., Nieciecki, A., Wittig, J., Krähmer, N., … & Veit, M. (2002). Urinary Excretion and Metabolism of Arbutin after Oral Administration of Arctostaphylos uvae ursi Extract as Film‐Coated Tablets and Aqueous Solution in Healthy Humans. The Journal of Clinical Pharmacology, 42(8), 920-927. Shin, B. K., Kim, J., Kang, K. S., Piao, H. S., Park, J. H., & Hwang, G. S. (2015). A new naphthalene glycoside from Chimaphila umbellata inhibits the RANKL-stimulated osteoclast differentiation. Archives of pharmacal research, 38(11), 2059-2065. Dalar, A., Türker, M., & Konczak, I. (2012). Antioxidant capacity and phenolic constituents of Malva neglecta Wallr. and Plantago lanceolata L. from Eastern Anatolia Region of Turkey. Journal of Herbal Medicine, 2(2), 42-51. Hausen, B. M., & Schiedermair, I. (1988). The sensitizing capacity of chimaphilin, a naturally‐occurring quinone. Contact dermatitis, 19(3), 180-183. Kalantari, A., Kósa, D., Nemes, D., Ujhelyi, Z., Fehér, P., Vecsernyés, M., … & Vasas, G. (2017). Self-Nanoemulsifying Drug Delivery Systems Containing Plantago lanceolata—An Assessment of Their Antioxidant and Antiinflammatory Effects. Molecules, 22(10), 1773. “Buchu leaves and oil of buchu were used by the indigenous people of South Africa for hundreds of years. The medicinal use of buchu was taken up by the early Dutch settlers and later introduced into the pharmaceutical industry in the UK. Simpson, D. (1998). Buchu—South Africa’s amazing herbal remedy. Scottish medical journal, 43(6), 189-191. Witbooi, H., Okem, A., Makunga, N. P., & Kambizi, L. (2017). Micropropagation and secondary metabolites in Agathosma betulina (Berg.). South African Journal of Botany, 111, 283-290. Moolla, A., & Viljoen, A. M. (2008). ‘Buchu’–Agathosma betulina and Agathosma crenulata (Rutaceae): A review. Journal of ethnopharmacology, 119(3), 413-419. Upton, R. (2013). Stinging nettles leaf (Urtica dioica L.): Extraordinary vegetable medicine. Journal of Herbal Medicine, 3(1), 9-38. Safarinejad, M. R. (2005). Urtica dioica for treatment of benign prostatic hyperplasia: a prospective, randomized, double-blind, placebo-controlled, crossover study. Journal of herbal pharmacotherapy, 5(4), 1-11. Yarnell, E. (1998). Stinging nettle: A modern view of an ancient healing plant. Alternative and Complementary Therapies, 4(3), 180-186. “The hexane extracts of flower and root of Althaea officinalis which were collected from northwestern Iran (Khalkhal) were obtained by Soxhlet apparatus. The fatty acids were derived from methyl esters and determined by gas chromatography/flame ionization detector (GC/FID) and gas chromatograph/mass spectrometry (GC/MS) systems. The hexane extract from the flower and root contained omega-3 (20.5 and 14.9%, respectively). The other main compounds of the flower extract were palmitic acid (13.0%), heptacosane (9.3%) and nonacosane (11.2%). Valiei, M., Shafaghat, A., & Salimi, F. (2011). Chemical composition and antimicrobial activity of the flower and root hexane extracts of Althaea officinalis in Northwest Iran. Journal of Medicinal Plants Research, 5(32), 6972-6976. Al-Snafi, A. E. (2013). The pharmaceutical importance of Althaea officinalis and Althaea rosea: A review. Int J Pharm Tech Res, 5(3), 1387-1385. Shah, S. A., Akhtar, N., Akram, M., Shah, P. A., Saeed, T., Ahmed, K., & Asif, H. M. (2011). Pharmacological activity of Althaea officinalis L. Journal of Medicinal Plants Research, 5(24), 5662-5666. Head, K. A. (2008). Natural approaches to prevention and treatment of infections of the lower urinary tract. Alternative Medicine Review, 13(3). Rotblatt, M., & Ziment, I. (Eds.). (2002). Evidence-based herbal medicine. Hanley & Belfus. Werbach, M., & Murray, M. (2000). Urinary tract infection. Botanical influences on illness: A sourcebook of clinical research (2nd ed., pp. 567-569) Third Line Press. Yarnell, E. (2002). Botanical medicines for the urinary tract. World journal of urology, 20(5), (pp 285-293).